Ah, pretension. Thy name is South By. 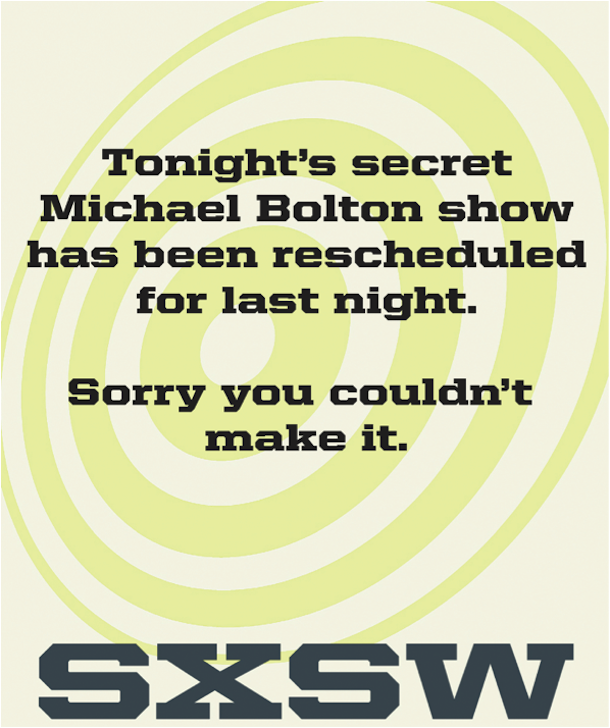 Even the fact that we’ve taken to referring to “South By Southwest” as “South By” and spelling it “SXSW” feels a bit too smug for it’s own good. Let’s not be surprised when hipster hordes decide to truncate its overabundance of syllables into a mere grunt: Suh-Buh. Case in point, pop-up tents like this one urging us to come in and take a load off (yes, sorry, too easy). Refresh and massage what, exactly? No surprise that a brand so well-versed in crap would be so adept at spewing it. 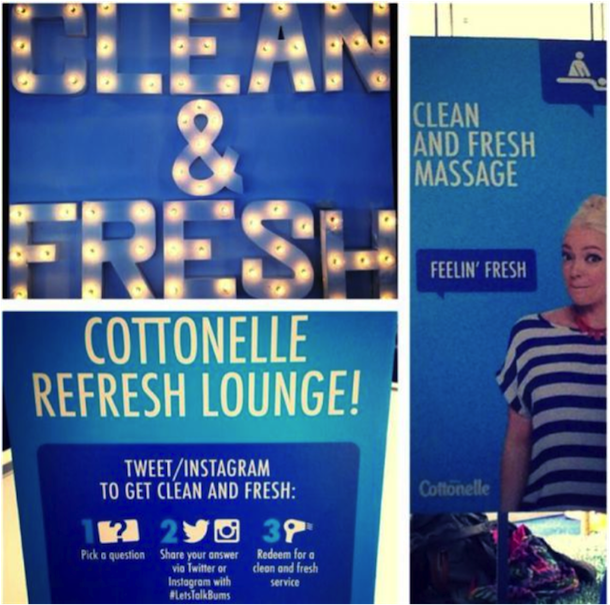 For the love of all that’s good and holy, Cottonelle. We know what you do. We know your purpose. We know where we use you. We don’t want to discuss you. We just need you to work and then go away with a resounding flush. #pleaseneveraskustotweetorinstagramanything. Then there’s the music portion. Where pretension reaches a fever pitch. As a dear friend pointed out, we are on this planet to fill our bellies a few times a day and eventually make miniature versions of ourselves. Anything beyond that is our own damn collective fault. Surely, the gross apotheosis of our own materialism and hubris can be seen in a 64-foot Doritos machine. No one to blame but us. And Lady Gaga for performing on it. 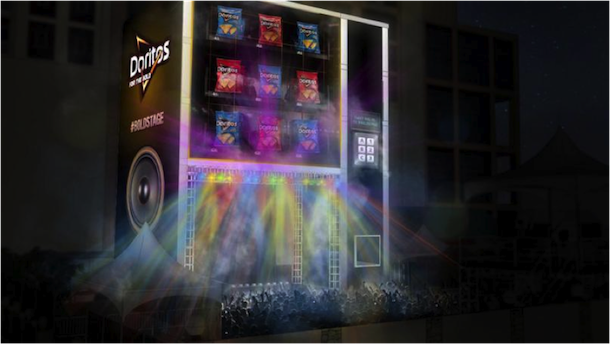 Does the world really need a giant Doritos vending machine, or Lady Gaga? This is rhetorical, read on. Friends, I can’t even muster any cynical afterburners to discuss how one gets into this Doritos sponsored Lady Gaga thing. Suffice to say, it involved tweeting about what makes one a bold individual and — God, I can’t type the rest. This lady wore a meat suit a few years back, remember? Doritos are merely bags of triangle-shaped processed cheese powder, remember? Dammit America, what are we doing? 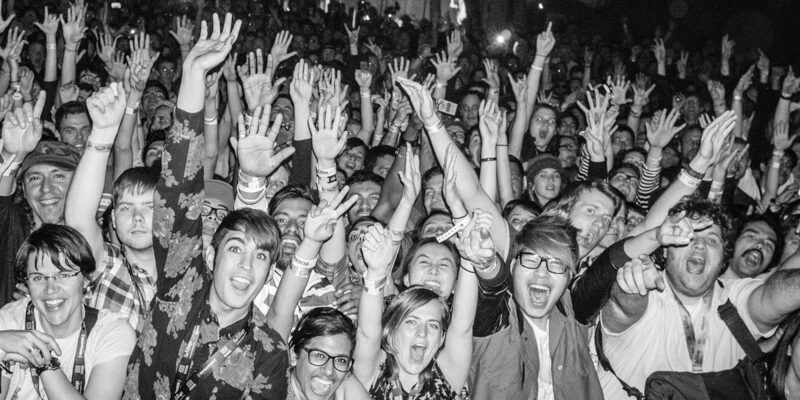 I’ve barely mentioned all the “secret shows” that pop up around the city, mostly providing “oh you shoulda been there” bragging rights for those who just happened to be there accidentally. So yes, maybe you didn’t do the hashtag thing that unlocks the app which gives you the map to “Metallica and Coolio performing the entire James Taylor catalog, in the 4th stall bathroom of the Target off Hwy 290, 1 a.m.” Life goes on. Still. Would I scoff at the thrill of going for lunch and running headlong into an impromptu street corner jam featuring Les Claypool? Or Jack White suddenly playing in an alley only a couple blocks from where I work? Hmmm. Oh Suh-Buh. It’s so hard to quit you. See you here in 2015, world. In the meantime, be the ball.